Putting it very simply, the mobile gaming space is getting overrun by Minecraft clones. 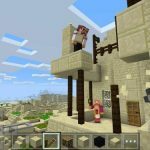 As Microsoft/Mojang’s uber-popular title isn’t exactly available for free, developers such as Ben Soohoo have come up with alternatives to Minecraft. 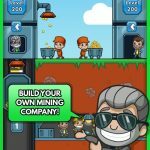 Soohoo is the creator of iOS-only title Clickcraft: Quest for Minerals – Minecraft Edition (that’s what he actually calls it), and his description starts out by asking you, the gamer, how fast and how much you can mine. Mining is as simple as tapping or shaking your phone, and the description adds that a diamond pickaxe can help you mine more resources per tap. All told, the description says that the game is a hybrid of Cookie Clickers and Minecraft. This game is simple but addictive, and it’s certainly a nice change of pace for anyone used to playing Minecraft. 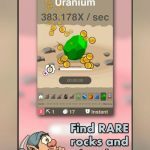 But if you want to mine even more resources and make the most out of the open-world sandbox of this game, we have come up with some Clickcraft: Quest for Minerals tips and tricks. When you start playing Clickcraft: Quest for Minerals, you’ll want to tap, tap, tap, and tap even more. In other words, this early part of the game will require you to tap vigorously and quickly. When choosing resources, hit the box button next to the toolbar; you can then choose whether you’ll be mining for wood, rock, or any other type of resource you’ll need for the job. Aside from knowing what you should be mining next, you should always have an idea of what you want to buy next. Upon getting a new resource through mining, your goal should ideally be to unlock the next available weapon tier; that’s going to give you three resources per tap, instead of the standard one. You can then head over to the hiring menu, and hire your first-ever worker. That worker will earn five of the type of resource you had chosen him to handle, and will do all the dirty work on your behalf. The two-finger tapping technique shows itself again; in this game, alternately tapping with a left and right thumb is a great way to secure yourself more resources much faster. Avoid tapping with two fingers at the same time as that’s going to be counterproductive – the game only reads one finger at a time. It may sound counterintuitive to have a “moneybag menu” where a lot of the ads have some kind of weird gotcha to them. But you could make use of this section any time you wish. 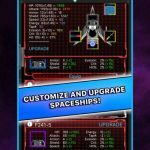 View an advertisement video to get yourself a 2x multiplier for 45 seconds, and get the exact same multiplier simply by sharing Clickcraft on Facebook. It’s all that easy if you’re looking for some good, solid multipliers. Then there’s the option to tap on the star you see on your display; tap on it and you’ll get a 2x multiplier right away. This trick can be used if you want to get resources faster while you’re sleeping or out or not allowed to use your phone. Leave your device out, set it up so that it doesn’t launch a screensaver, and ensure the app is in the foreground – that’s pretty much it if you’re hoping to earn more resources without having to work too hard for them.